Based on current trends, some of the most lucrative ways for YouTube Creators to earn money often involve playing video games, reviewing toys or teaching others which sponsored item they should be buying next. However, for 25-year-old YouTuber Kim Thai, it has been about eating insane amounts of food through the art of mukbang, a South Korean term that combines eating and broadcasting. 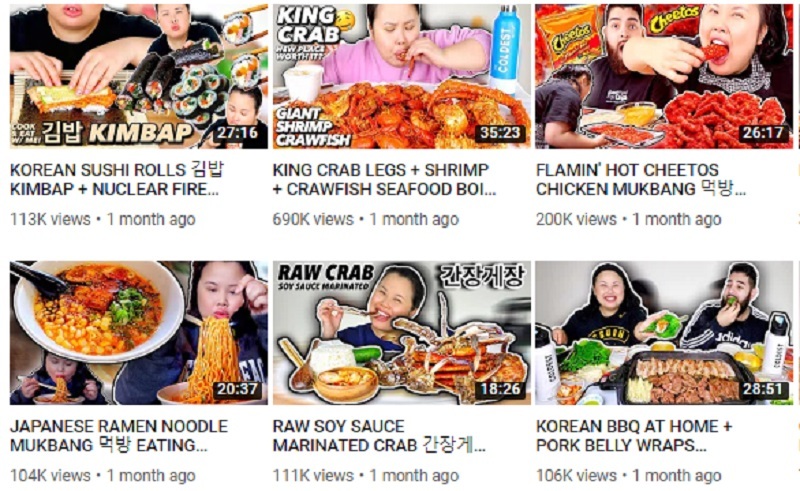 Kim, who launched her channel “Eat with Kim” eight months ago, is among the many mukbang YouTubers on the platform who now make a decent living by ingesting massive quantities of food in front of the camera. The appeal of watching others gorge down large amounts of food has been attributed to either the sensual effect it brings to some members of the audience or the visceral experience it offers to those who can’t afford the food or are allergic to it. Generating over 200,000 subscribers so far, Kim’s channel has allowed her to earn a six-figure salary from ads and sponsorships from brands such as DoorDash and Pepto-Bismol. According to Kim, she even quit her social-media job at a national beauty brand so she can focus on her YouTube career full time. “And to know that my videos are something that people look forward to watching reminds me why I started,” Kim added. With the earnings she saved up, Kim is now planning to launch her own clothing line soon.